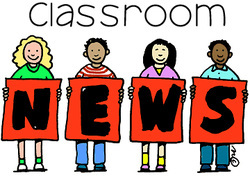 Boys and girls this is where you can get any updated information that can remind you of what is happening in the classroom or any information that I want to communicate with you via the web. Click on the link to watch a message that you should all reflect upon as your schooling progresses or when the time gets tough. I hope it inspires you all to change the world and make it a better place. Please go to the links below for some practice tests. The link below has both types of MAPS practice tests. Completed to the best of your ability Below are some guidelines on what will happen if homework is not completed.